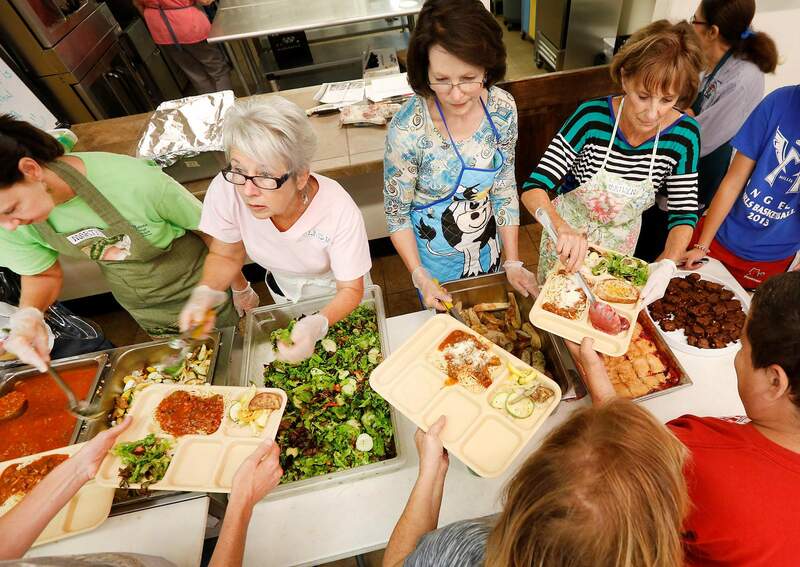 Manna Soup Kitchen relies on volunteers, 700 of them whom donate more than 10,000 hours each year, to meet its mission. On Thursday, volunteers primarily from the First United Methodist Church of Durango, from left, Martha Diehl, Claudia Sprowso (not from the church), Stacy Hannigan and Marilyn Metz, prepared and served lunch. The menu included spaghetti with sauce made from scratch. 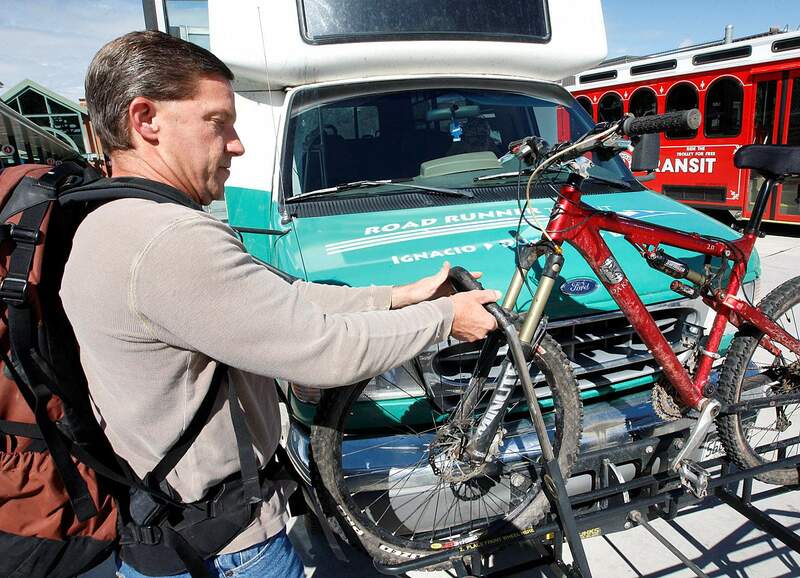 “I wish more people knew about this service” said Brian Wright, of Forest Lakes as he gets on the Road Runner bus at the Durango Transit Center. Wright rides the bus two days a week from Bayfield, and after arriving in Durango, he rides his bike to his job at the Durango Tech Center. Road Runner is a service provided by the Southern Ute Community Action Program, one of the largest nonprofits in La Plata County. SUCAP also runs the Southern Ute Head Start, the Ignacio Senior Center, The Training Advantage and several other programs. 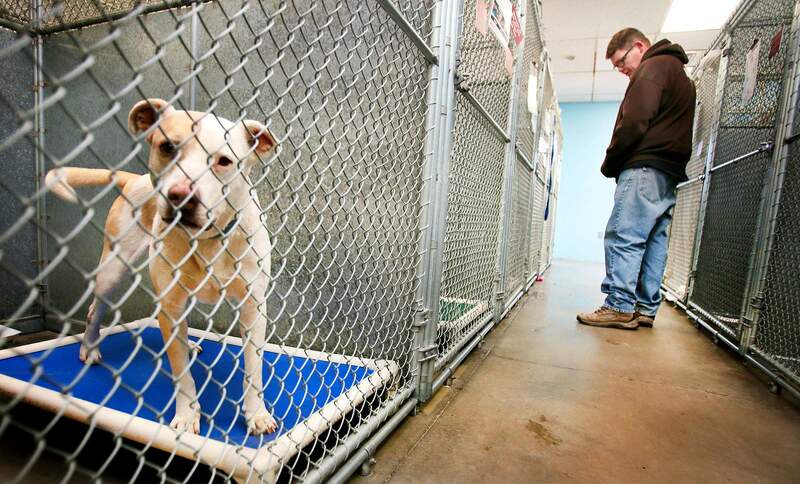 Chris Nelson, director of Animal Services at the La Plata County Humane Society, checks out the dog population in the kennel at the society’s shelter near Walmart. The shelter helps more than 3,000 animals a year find a home as well as providing low-cost spay and neuters and other pet-owner services. 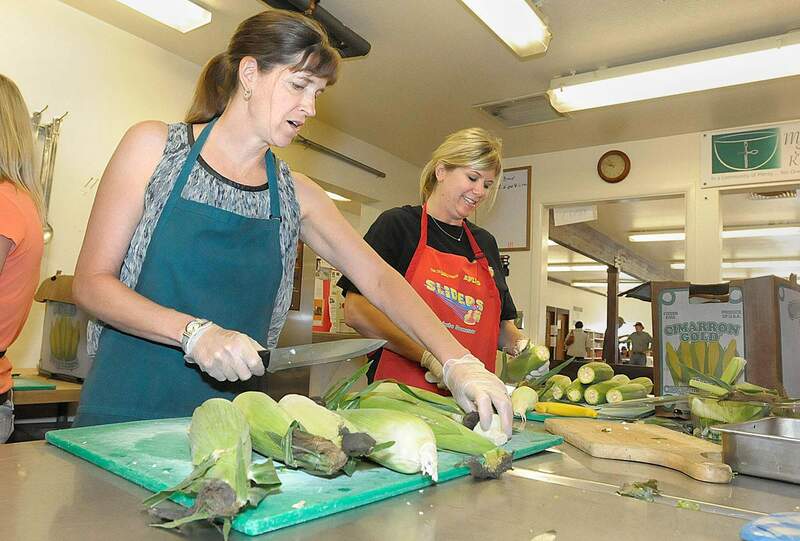 Karla Dudley, left, and Janine Bulen of the First United Methodist Church of Durango are processing fresh corn for lunch recently at Manna Soup Kitchen. More than 700 volunteers provided more than 10,000 hours of service to the soup kitchen in 2013. Sarada Leavenworth, district director of the Volunteers of America, which operates the Durango Community Shelter, Southwest Safe House and two veterans housing programs, attends a meeting Tuesday afternoon at the shelter. She relies on frequent doses of the exercise program Zumba to carry her through the stresses of her job. Kathy Tonnessen, center, executive director of Manna Soup Kitchen, helps inaugurate Manna’s new resource and training center in June. The center is an initiative by the soup kitchen, which, in addition to providing meals and other services to people struggling financially, will now offer training and resources to help them improve their financial situation. 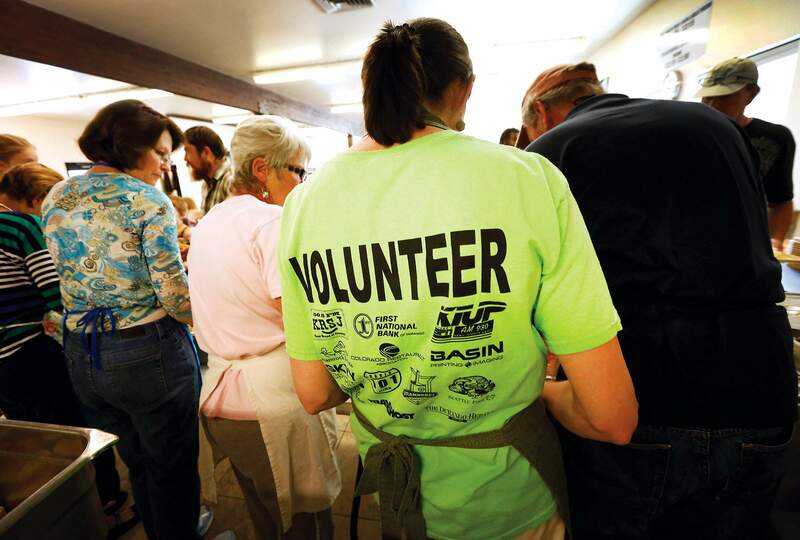 Martha Diehl, from the First United Methodist Church of Durango, wears a volunteer shirt while serving lunch Thursday at the Manna Soup Kitchen. Manna’s more than 700 volunteers donated more than 10,000 hours in 2013 to help the soup kitchen prepare and serve almost 70,000 meals. The nonprofit sector does more than provide services and programs. It employs more than 1,500 people who earn almost $16.4 million annually in La Plata County. Those people, showing up every day, make the programs work. The executive directors, in particular, carry the load of keeping organizations funded and making sure programs they offer are effective. Many executive directors of nonprofits have a large hat collection – they wear a lot of different chapeaux in the course of a day or week. 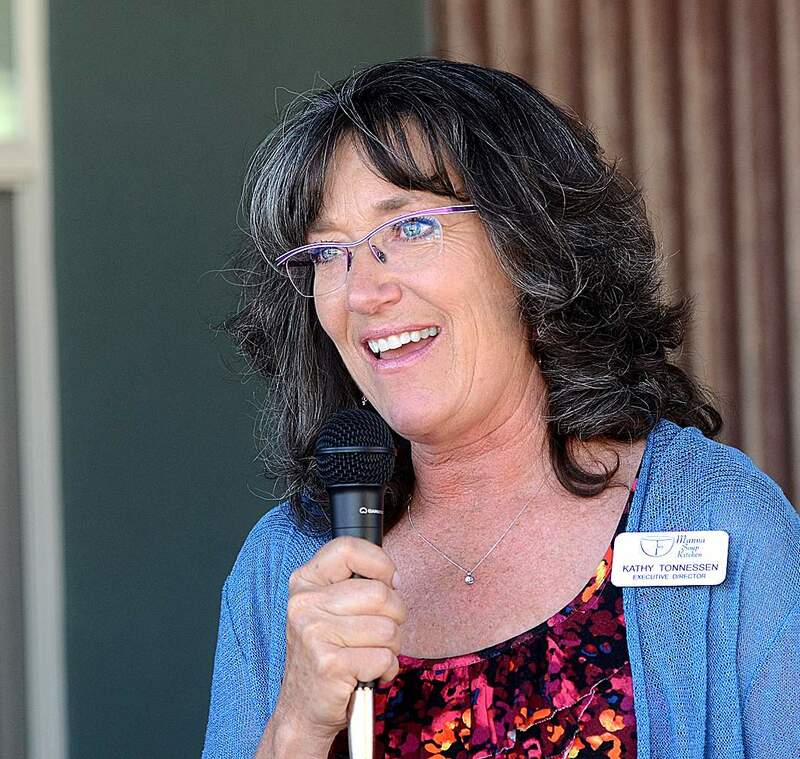 Being nimble and adaptable are big parts of the challenge facing Sarada Leavenworth, executive director of Volunteers of America, which manages the Durango Community Shelter, the Southwest Safehouse and the Back Home and Transitional Housing programs for veterans. Adaptability is the rule of the day at Manna Soup Kitchen, too. 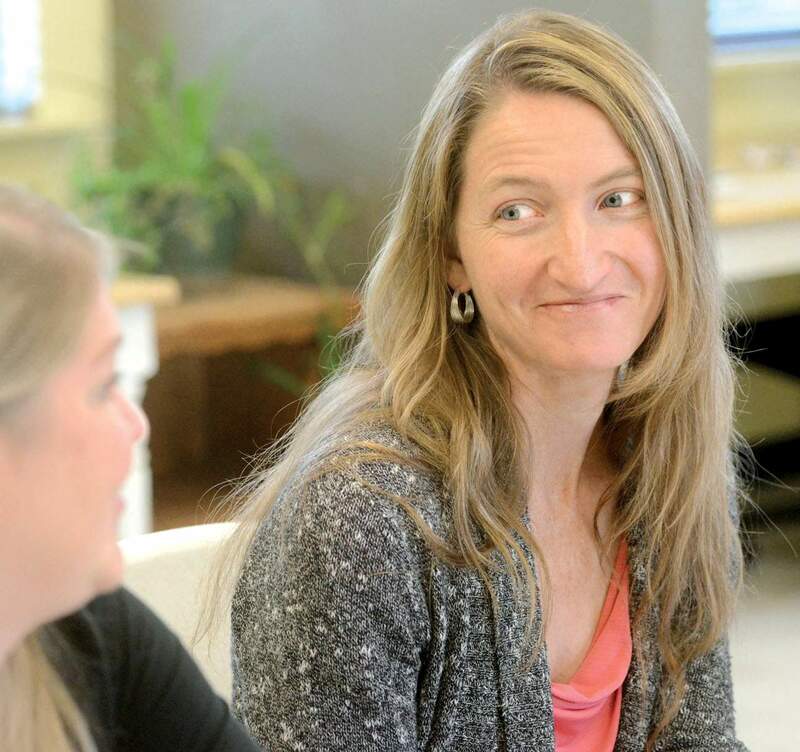 Tonnessen, who said she spends the bulk of her time on administration, grant writing and fundraising, manages a staff of four full-time and several part-time employees and as many as 700 volunteers, including many participants in Manna’s programs. Sometimes, executive directors have to fire a volunteer, which is never easy. Being the executive director of a nonprofit also means being the face of that organization in the community. Many executive directors learn on the job, working their way up. That’s the case with both Leavenworth and Tonnessen, although Leavenworth said taking a Leadership La Plata course was invaluable for her. For several years, Fort Lewis College has offered a nonprofit management certificate providing professional training to people in the sector or people who are thinking about going into nonprofit work. One goal is to prevent new directors from learning the job the hard way, by making big or costly mistakes. The program has graduated 15 people to date and currently has 125 people enrolled. Working on some of society’s most difficult issues – hunger, homelessness and domestic violence – can take a toll. Leavenworth feels the same pressures. Volunteers of America offers many tools to participants in its programs, including advocacy, case management, life and financial planning and job-hunting support. They ask people who have stayed at the shelter, sometimes for as long as three months as they rebuild their lives, to come back and tell them how they’re doing. When they give so much to others, how do they fill up their own well of energy? Exercise is also a boon to Leavenworth. But the key to success is keeping the passion for the work when days are full of stories about people’s tribulations and setbacks. That doesn’t mean letting go of other people’s pain is easy. Fort Lewis College’s Professional Nonprofit Management Certificate Program, directed by Paulette Church, former director of the Durango Education Center, includes classes for people who work for nonprofits, those who are interested in working for nonprofits, volunteers and board members. In addition to classes taught by area experts, the program also offers collaborative classes presented with the resources of the Community Resource Center and the Colorado Nonprofit Association. Some classes offered in the fall session include the eight-class Nonprofit Management: Making a Difference; Entrepreneurial Leadership for Nonprofits taught by Terry Bacon; Community Fundraising and Making the Ask taught by Margie Deane Gray; and What You Need to Know from a Top Executive Director Panel, with Chris Cable, Sarada Leavenworth, Liz Mora and Vaughn Morris. To learn more, visit www.fortlewis.edu/continuinged or call 247-7385. Sunday: The big picture of the nonprofit scene. Today: What does it take to work with the needy? Tuesday: Who are the donors and how do they give? Wednesday: The future of nonprofits in La Plata County. How do we take care of our needy neighbors?